What Happens to Ahsoka Tano Before 'Episode III'? Anakin had an apprentice? 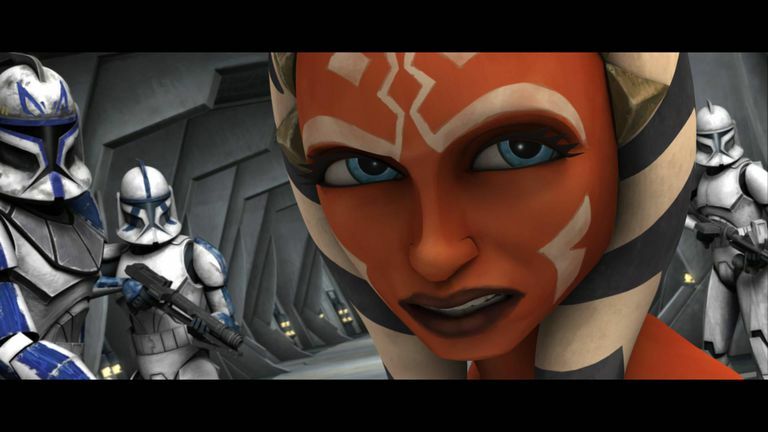 Why isn't Ahsoka Tano mentioned in "Star Wars Episode III: Revenge of the Sith"? The Clone Wars era in the Star Wars Expanded Universe has many problems with continuity. Most stem from the fact that the time period has the highest media density of any period in the Star Wars timeline, with multiple cartoon series, video games, novels, and comics packed into a three-year period. As more stories, situations, and characters are introduced, more contradictory elements appear. The most jarring of these apparent contradictions is the role of Ahsoka Tano, Anakin's young Togruta Padawan. Based on earlier Star Wars media, it seemed like the series began in 19.5 BBY and ended before 19 BBY when "Episode III: Revenge of the Sith" is set. And yet there were no indications in that film or media at that time of Ahsoka's fate or even of the fact that Anakin had an apprentice at all. Later adjustments to the timeline put the beginning of the series around 21 BBY, but this only raises more questions; surely Anakin's apprentice of two years would be worth mentioning, even if an apprentice of a few months could be easily forgotten. It took a few years for "The Clone Wars" TV series, books, and other media to flesh out Ahsoka's path during that time. Here's how it played out. Ahsoka Tano was assigned by Master Yoda to be Anakin Skywalker's apprentice at age 14. Yoda hoped that being a teacher would help guide Anakin's emotional development and steer him away from the Dark Side. She first joined Skywalker and Obi-Wan Kenobi at the Battle of Christophsis. Her next adventure with Skywalker and Kenobi was to search for Jabba the Hutt's son, who had been kidnapped in a plot to set the Hutt against the Jedi. This adventure included the Battle of Teth and encountering the Dark Acolyte Asajj Ventress. She spent the next two years during the Clone Wars in more adventures with Skywalker, as detailed in the "Clone Wars" TV series. In episode 16, "The Altar of Mortis," she has a Dark Side spell cast on her by the Son. She dies but is dramatically resurrected by the Daughter. At age 16, Ahsoka is framed by her friend Barriss Offee for the bombing of the Jedi Temple on Coruscant. Skywalker believes she is innocent but tracks her down as she flees. The Jedi Council expels her. She is put on trial by the Republic for the crime but is acquitted by Offee's forced confession. The Jedi Council invites her to return to the Order, but she refuses. She decides she doesn't like the way things are going for the Jedi and wants to find her own way with the Force. Yoda has a vision of her death in the halls of the Jedi Temple during the future Jedi Purge. Skywalker resents the Jedi Council for not trusting her, one more step on his path to the Dark Side. Did Ahsoka Tano Die in the Jedi Purge? About a year later, Ahsoka is on the trail of former Sith Lord Maul. She has her last meeting with Anakin Skywalker and is given her old lightsabers. She also receives the command of an army of clone troopers, led by Rex. She lays siege to Mandalore and has a duel with Maul, trapping him in a ray shield. Yoda's vision of her fate in the Jedi Purge proves to be that of a faked death. When Chancellor Palpatine gives Order 66, directing the clones to kill their Jedi masters, Rex has removed his inhibitor chip and she is able to escape with him. They fake their own deaths. She flees to the Outer Rim as the saga enters the Age of the Empire. Her survival opened the way for her role in the Rebellion. Her journey between these two eras is covered in the novel, "Star Wars: Ahsoka," published in October 2016. She reappears in the "Star Wars: Rebels" TV series. Did Ahsoka Tano Die on Malachor? Years later, Ahsoka is involved with the Rebels and has a vision of Anakin Skywalker through the Force, when he taunts her about abandoning him and that being a factor in his journey to what he had become. She accepts that he has become Darth Vader. She then encounters him on Malachor and they engage in combat. She sees part of his face as she slashes off part of his mask and decides not to leave. Vader says that then she will die, and the temple they are in locks down and explodes. Vader survives. 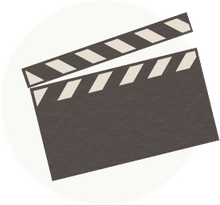 She also manages to survive and is seen in the epilogue to the series finale, leaving her character open to future appearances in the Star Wars canon.